“If there is to be a revolution there must be a party”. This is how one of the most iconic and politically engaged book of the century would start if we applied an intentional filter. The filter would hide the parts of the slogans and sentences that got eventually obsolete in the last decades and the book is the Little red one: “Quotations from Chairman Mao Tsetung”, the second most printed book in History (after the Bible) but a book that can only be found nowadays in China at some tourist shops. In an attempt to build a documentary object that to pushes the limits of documenting with images, the series “Party” presents a deliberately personal approach to the contemporary Chinese society and adds layers of significance by choosing a loaded platform. Using censorship to erase the parts of the text that are no longer in use in the country´s routine, the resulting pages become a script where the matching images build a series of diptychs that dynamical raise the question of the real nature of Communism in China these days. Party was conceived by Cristina after a first trip to China in 2012, undertaken in the aim of “making photography, of reacting with the camera to whatever caught my attention, without any attempt to explain or analyze”. She returned “with a large series of photographs that were hard to classify and edit, since the only common denominator was my own astonishment”. 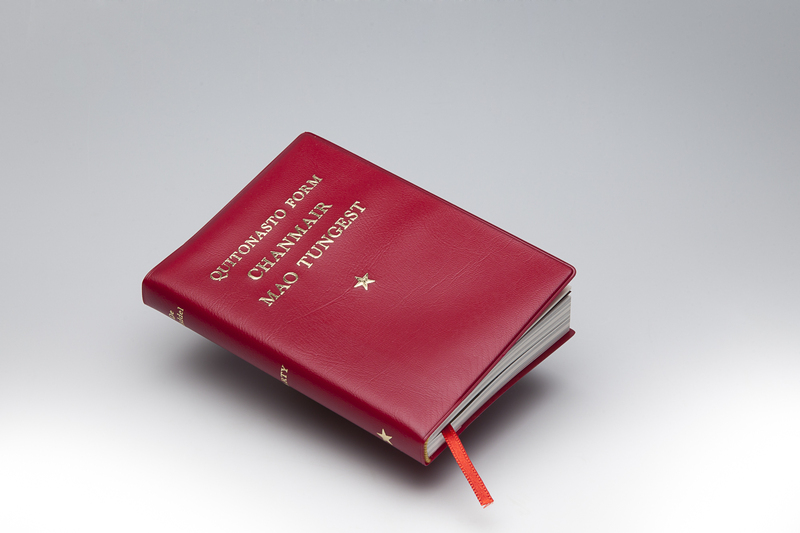 Party is a photobook built on the foundation of Mao’s Little Red Book. It is a book with “new” quotations and a free spirit that somehow shows us what China is today. Cristina uses the skeleton of Mao’s little book — what used to be the “Bible” of the Chinese people — to create a particular narrative. As Cristina herself puts it: “I decided to adapt this historic political statement to modern times by censoring and hiding the parts of the text that are no longer in force and highlighting some other redesigned sentences that, for me, form a more accurate portrait of the People’s Republic of China in the twentieth-first century”.